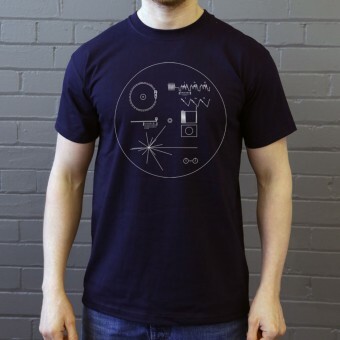 The image appearing on the cover of the "Golden Record", a phonograph record made from gold-plated copper that was sent into space aboard the two Voyager spacecraft launched in 1977. 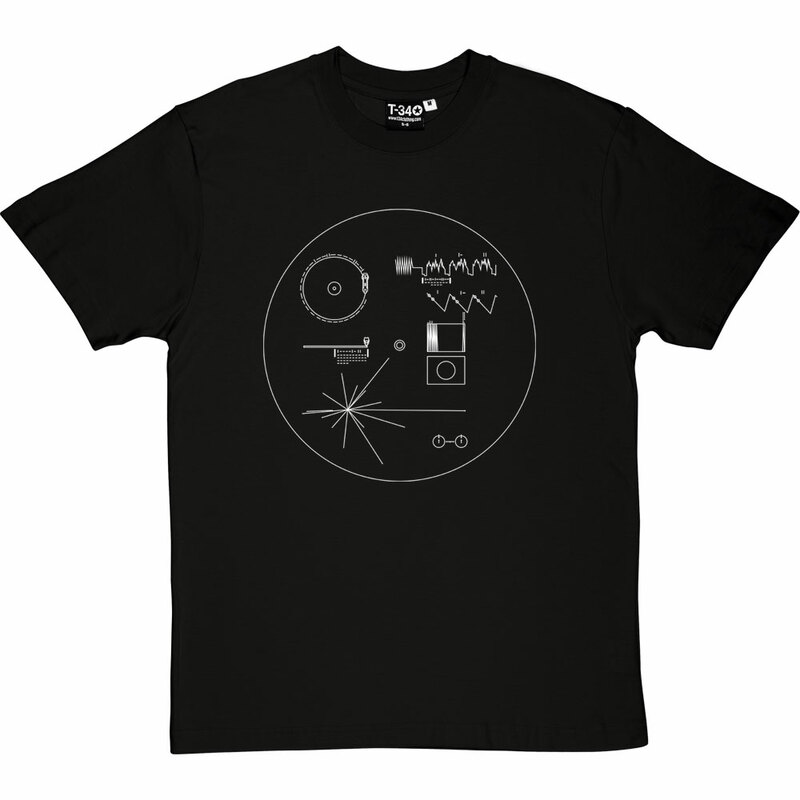 The cover illustration explains to any extraterrestrial life that encounter the spacecraft how to play the record, as well as the speed that it should be played at, a diagram showing the position of the sun relative to 14 pulsars, and a diagram representing a hydrogen atom. The record itself consists of 31 tracks of spoken words, sounds recorded on earth, and music.